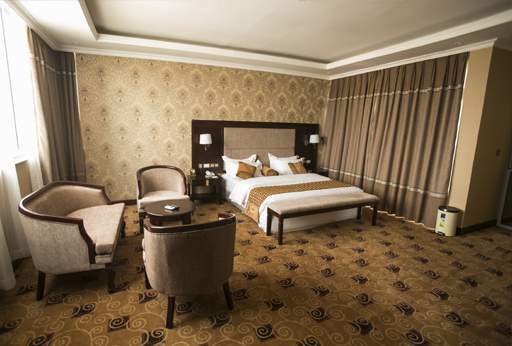 Set in the heart of Kigali’s city center, the Lemigo Hotel is Kigali’s largest 4* hotel. 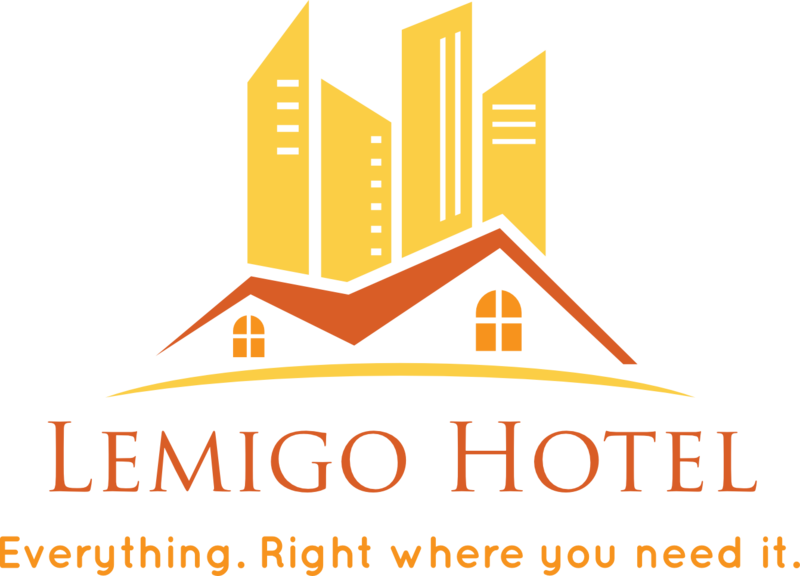 Lemigo Hotel Rwanda, the No. 9 of 38 Hotels in Kigali according to the 2015 Tripadvisor Travelers' Choice Awards! Set in an urban oasis within the city center/business district. 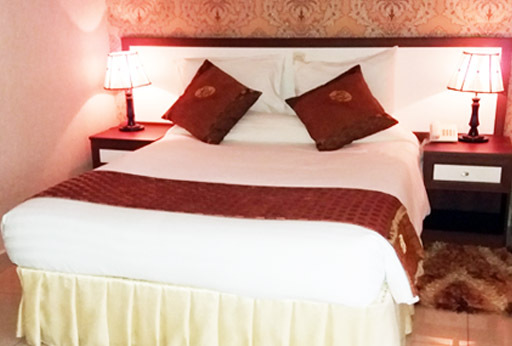 This contemporary 4 * hotel is only 5km from the airport and provides your home away from home whilst in Kigali with free WiFi and complimentary airport shuttle. The Kigali Financial Centre, Rwanda Development Board (RDB), Parliament, International Conference center and the ministries are all close by. 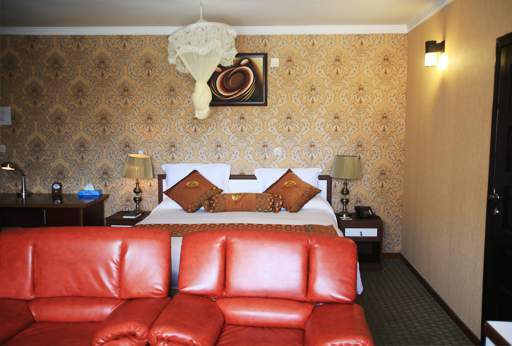 Whether you stay in one of our bright and airy classic rooms or one of our stunning suites you’ll enjoy the friendly Rwandan welcome in a safe and relaxing environment with an efficient service and modern technology to ensure you enjoy your stay. 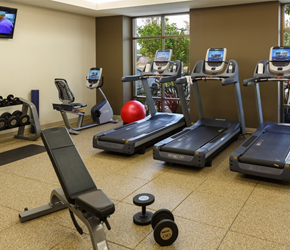 When there is time to relax guests can enjoy the Gym and large outdoor pool and in the rooms there are; tea/coffee facilities, cable TV on a 46” screen, laptop sized safe plus iron & ironing board. 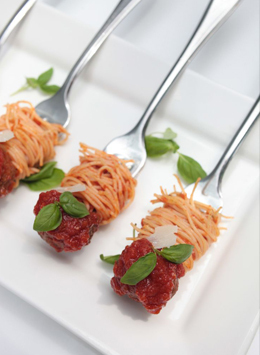 For a little extra, guests can choose the Executive Club Floor with private check-in/out, boardroom, and exclusive lounge with the balcony looking over the city serving complimentary evening canapés with selected wines and champagne in an exclusive “home away from home” atmosphere. The Lobby Lounge is the place to meet and talk business over coffee and Lemigo Restaurant offers International and Rwandan dishes after a drink in the sophisticated atmosphere of the one2one Bar. The conference center on the ground floor features the 736 sqm ballroom with 5 adjacent breakout rooms, business center and large pre-function ideal for conferences, cocktail parties and social events. Our dedicated conference team are on hand at every stage to ensure your events success.